Dr. Ferris served in the United States Army on Active Duty in a mechanized infantry unit with the Second Armored Division in Fort Hood, Texas. In 1991, after completing his duty with an honorable discharge, he was reactivated to duty in support of Operation Desert Storm. Dr. Ferris continued to serve his country for 11 more years in the United States Army Reserves as a Chaplain Assistant. Dr. Ferris graduated from Bowling Green State University with a bachelor’s degree in Biology. Thereafter, he began a career with Johnson and Johnson selling pharmaceuticals. After many successful years with JNJ and looking for a new challenge, he accepted a position with Tyco Medical Division. With Tyco he sold medical devices in the operating room to surgeons and hospitals. Having a unique, up close and personal perspective on a medical model largely dependent on “drugs & surgery”, Dr. Ferris began to become disillusioned with a healthcare system heavily influenced by enormous marketing efforts by “Big Pharma”. It was at this time that a friend recommended he visit a Chiropractor for low back pain. This decision sprouted a turning point as Dr. Ferris personally benefited from complimentary and alternative medicine (CAM). Awakened by the fact that the human body was designed with an inherent recuperative power capable of healing without the use of drugs and surgery most of the time, he reevaluated the direction of his career and life. In January 2002, he enrolled at New York Chiropractic College. During his time at NYCC, Dr Ferris served as Vice President of his class. He was also the Vice President of the CBP club. Additionally, he orchestrated a visit to NYCC by New York Times best selling author Dr. Ben Lerner who wrote Body By God, An Owner’s Manuel for Maximized Living. He was elected by his class to be co-master of ceremonies at 7th Trimester Farewell dinner and provided the evening speech/toast to distinguished faculty, students, spouses and NYCC president. While in college, Dr. Ferris challenged himself by completing over 150 hours of “post graduate” training. 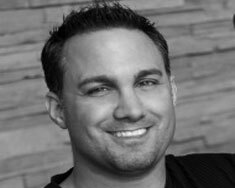 By October of 2005, he opened up Victor Advanced Chiropractic, creating the region’s only Chiropractic office certified in BOTH Chiropractic Biophysics (CBP) and Active Release Technique (ART). Now established for over 8 years, he has been privileged to serve and treat thousands of new patients. With a philosophy of serving the underserved, Victor Advanced Chiropractic joined forces with the faith-based philanthropic organization, Chiropractors with Compassion. Together with hundreds of other Chiropractors throughout the U.S. and Canada, they contribute to hundreds of thousands of dollars distributed annually to needy children in Africa. Education, food and infrastructure such as clean water and sewage systems, are all made possible by Chiropractors with Compassion. Dr. Ferris feels privileged to join hands with such an organization. Dr. Ferris was raised in Cleveland, Ohio by two loving parents and is the youngest of three brothers. Dr. Ferris owns a Boxer named Mitchell, arguably the world’s most handsome Boxer.